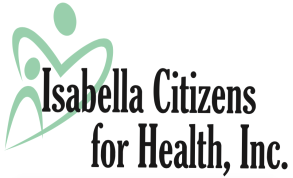 Community Health Worker Assistance - Isabella Citizens for Health, Inc.
What is a Certified Community Health Worker? A Certified Community Health Worker (CHW) has received formal training to assistance individuals and families in need of resources, support and services that are often available in their community. The Health Center can assist patients with their transportation to and from appointments. Medicaid patients may have covered transportation available, and the Health Center has free bus tickets through IRide available to patients that need them. ICH offers interpretation and translation services to the Center's patients who do not speak English as a first language, are deaf, or heard-of-hearing. The Center is partnered with a medical interpretation service, and provides an interpreter at no cost to patients. If you require an interpreter, please let the receptionist know when you schedule your appointment so we can make appropriate arrangements before your visit.